How about flying - or what approximates to flying - in the mountains with a forest below you and the majestic backdrop of the highest mountain in the Philippines? This is possible now, and one does this by zip-lining at Camp Sabros in Kapatagan, a barrio in Digos, Davao del Sur. This is the highest and longest zip-line in the Philippines today. Camp Sabros was featured on TV by Sports Unlimited just as I was unpacking my bag during my arrival in the Philippines. Of course I got excited knowing that I'm heading in that direction for my Mt. Apo trek. A climb and a zip-line would be a double whammy treat indeed! When we got there early morning after the Mt. Apo hike, I was the second person in the queue doing this slide for life. I'm attached by a full body harness using carabiners into this removable pulley that is attached to a steel cable. With one push from the platform, I'm flying out there like Superman, screaming my heart out as I see the world before me like I've never seen it before. I zoom above the forest below me and then I find myself skimming next to pine trees as I got nearer. Before I know it, the ride is over and I'm at the other end. Wow, that literally blew me away! Word of mouth and that TV endorsement definitely caught the fancy of adrenaline junkies as Camp Sabros is attracting a lot of visitors these days. The second time I made it there, this time with my family, there was such a long wait they ran out of tickets. The only access road leading up to it got so muddy mid-way that our car had to be parked elsewhere and walked the rest of the way. Others took Habal Habal rides and pray they won't fall into the mud. I met the owner Eric Sacdalan who says Sabros is coined from the words Sacdalan brothers. He bought the property in 1994 and initially thought about the zip-line only for friends and family. But then, everyone heard about it that he officially opened his property to the public on Dec. 25, 2007. There are two cables: one is 380 meters long and at least 150 feet high while the longer one at 400 meters offers a steeper and faster ride. Paying visitors have the option of returning via zip-line or through a chair-lift depending on the amount paid. Solo rides start at P200, tandem at P300 and a child on piggy-back P100. 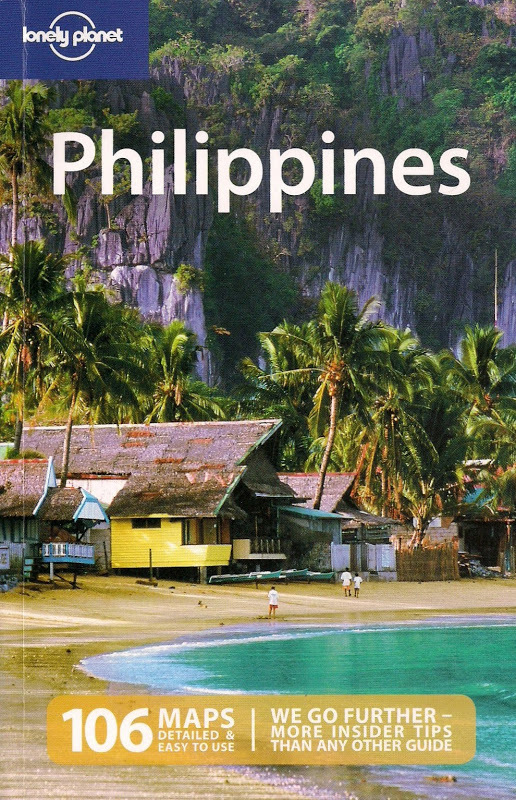 There are cottages (more like log cabins) offered for those who want to stay overnight, starting at P1500 a night. Pitching a tent on their wide campgrounds is cheaper at P100. They now have a restaurant but most daytrippers who go there bring their picnic baskets and mats. Eric says he has plans to offer horseback riding soon and the more thrilling bungee jump in the future. Is zip-lining safe? Eric mentions that the breaking point of the cable is 15 tons which means a person, even a tandem, is hardly 0.5% of that weight. Of course, any ride has associated risks and Eric is aware that zip-lining is not meant for everyone, especially those with fear of heights and heart ailments. Judging by the number of people who went up Camp Sabros this past Holy Week, it looks like zip-lining is one to fill that "what I did last summer" agenda. Ohh..I did something like this in Eden Garden Resort...ehehhe...Am not going to salivate and say "why did I not do that?" It's actually fun doing it! I had a longer zip line in Costa Rica. HELLO ! 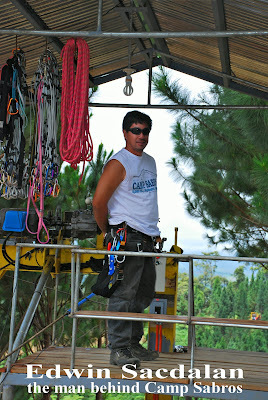 WE ENJOY OUR ZIP LINE RIDE EXPERIENCE IN CAMP SABROS last May 28 & 29, 2009. Try the longest zip line at 800 meters. .. its safe and really feel G R E A T . . .